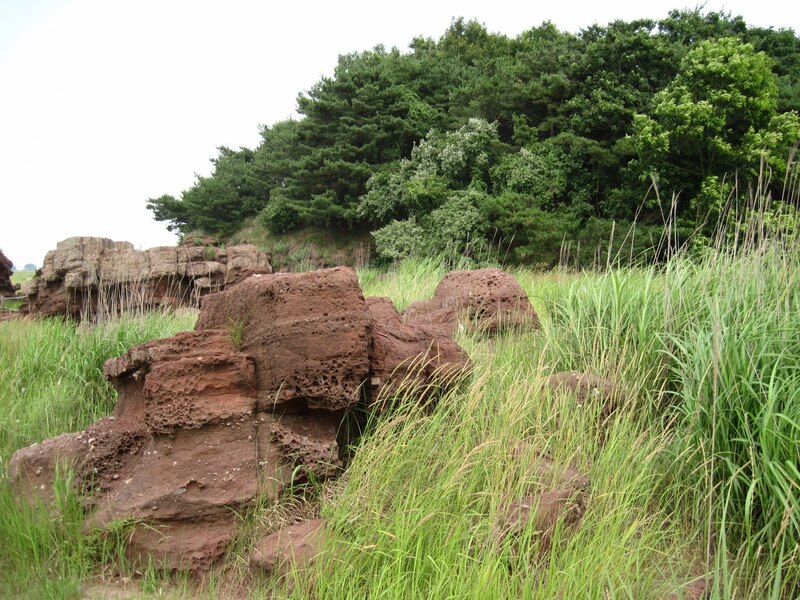 The Hwaseong dinosaur egg site is just a 15 or 20 minute walk from the visitor centre across the salt marsh. The nests are found in these little island outcrops, which look as though waves were crashing on them just yesterday. 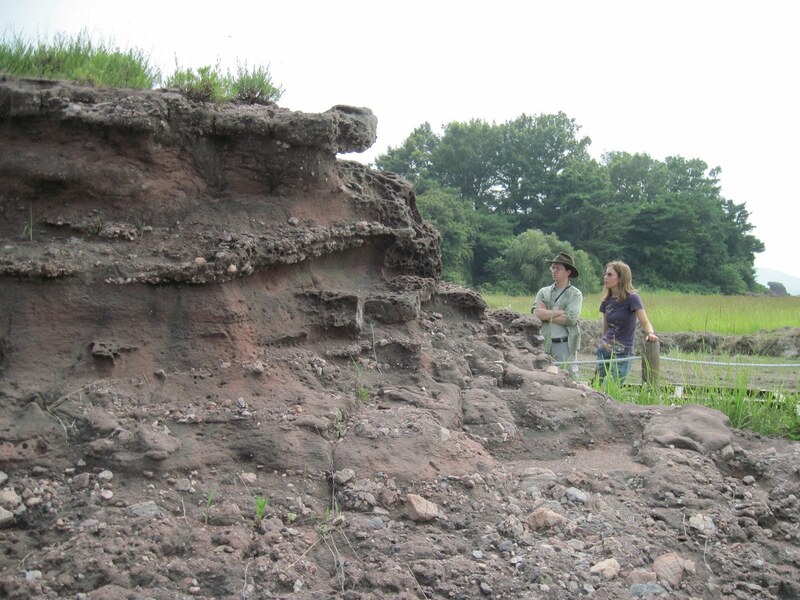 Scott and Robin ponder the taphonomy and geology of the egg-bearing strata. The outcrops all show multiple fining-upward packages and we saw eggs in at least two levels. 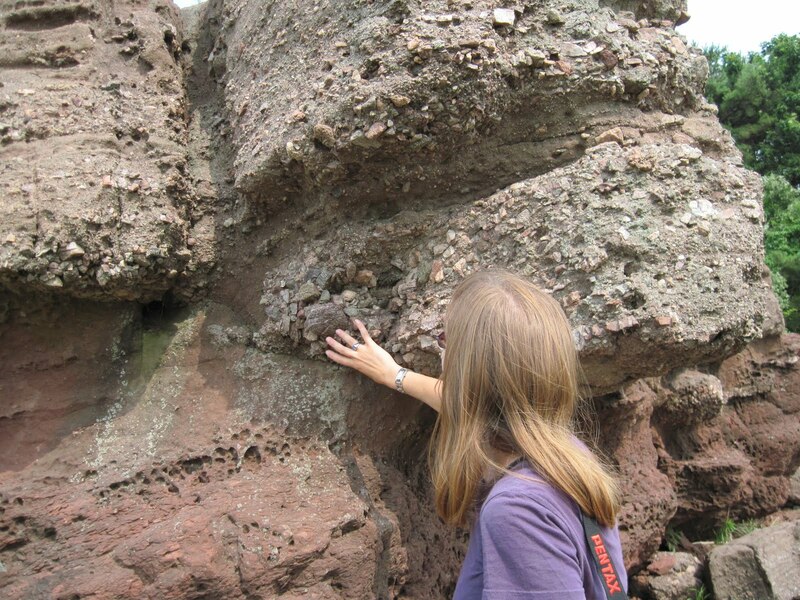 We were surprised that eggs could be preserved in such a coarse conglomerate. You can see how angular the clasts (rocks) are within the outcrop, which indicates that the pebbles and cobbles were not transported very far or for very long. We were thinking they were debris flows, but we will need to read up on the geology of the area. Weathering of the outcrops makes the rock look almost volcanic. 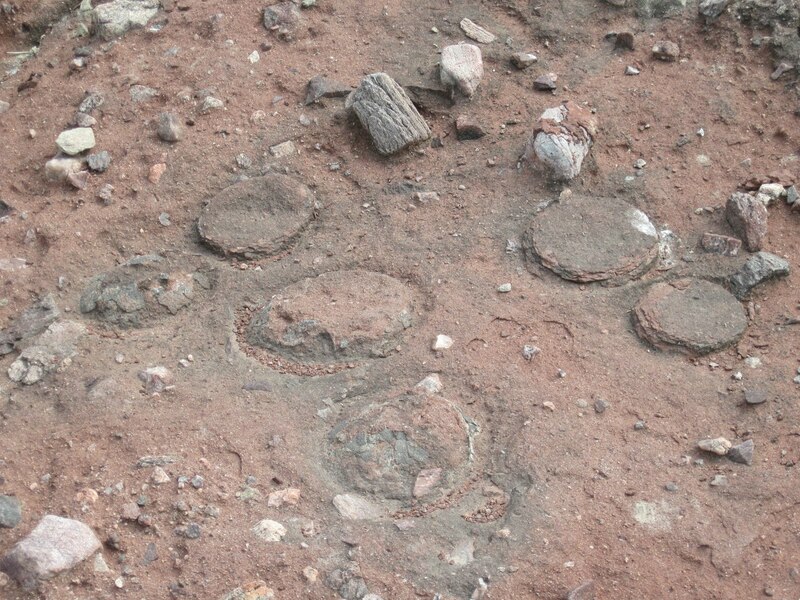 Despite being found in such coarse rock, the nice round eggs are uncrushed and not broken up. They also seem to be found in a finer sandstone, with the coarse conglomerate around them. Could the nests have been dug into the conglomerate? Were the nests preserved during debris flows or floods? How did the eggs survive in such good condition? Geology is full of problem solving fun! Can't imagine being that close to dinosaur eggs. Quite the adventure.